I’ve been working on scheduling some new locations for this fall’s series of Photography Workshops, and think I’ve gotten some great ones. 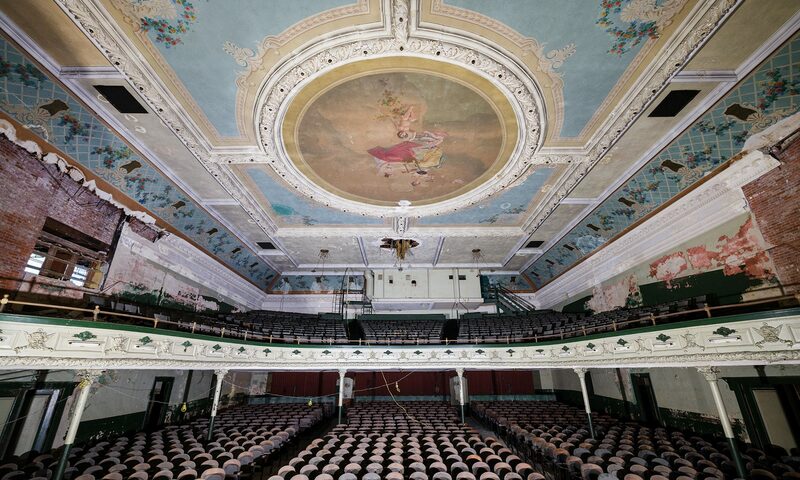 First up, the Orpheum Theatre in New Bedford, MA on September 22. 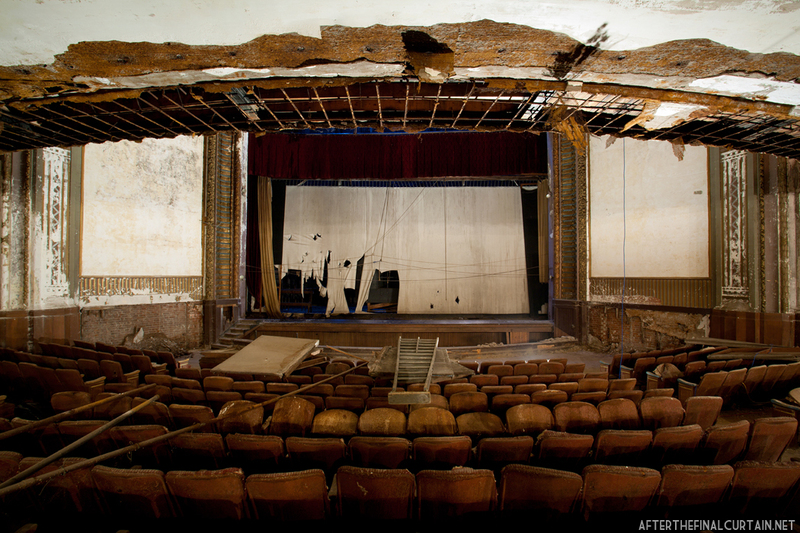 The Orpheum was the first theater profiled on After the Final Curtain, and I’m really excited about the workshop. Attendees will be able to photograph the auditorium, ballroom and shooting range. 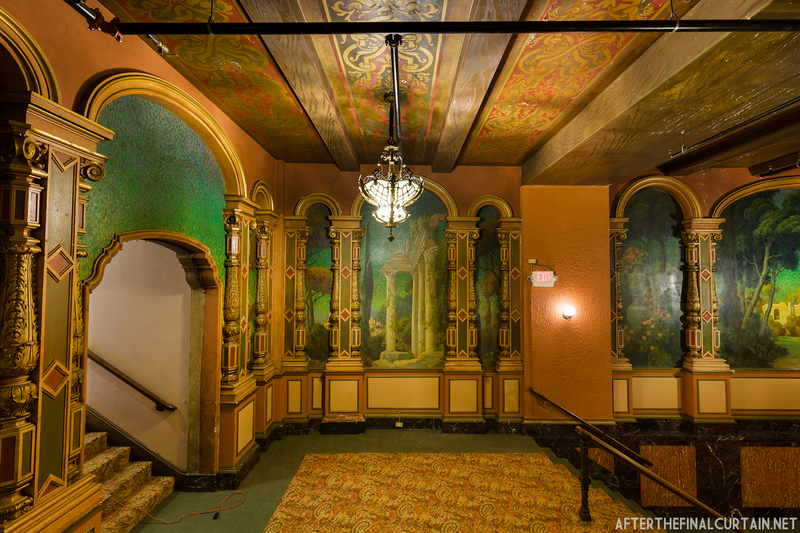 The Art Theatre in Worcester, MA. 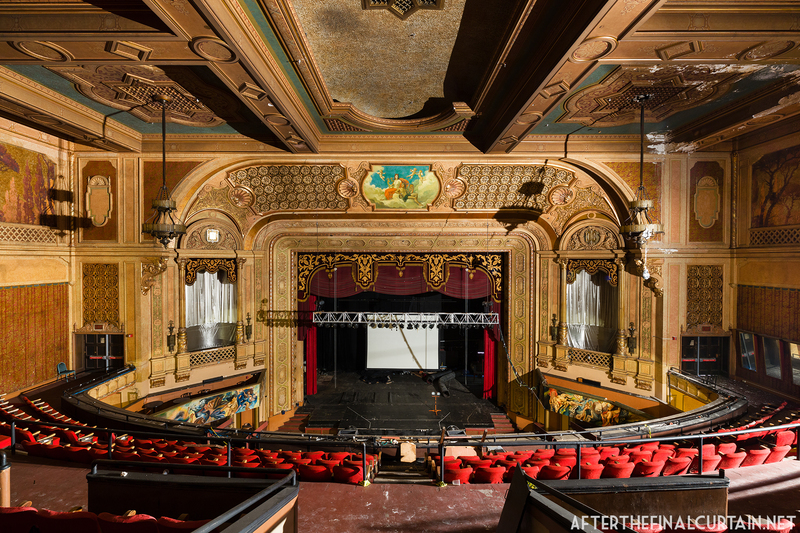 Next is the Art Theatre (formerly the Olympia and a bunch of other names) in Worcester, MA is the next photo workshop on October 6, 2018. It’s a smaller one, so sessions are limited to 6 people. 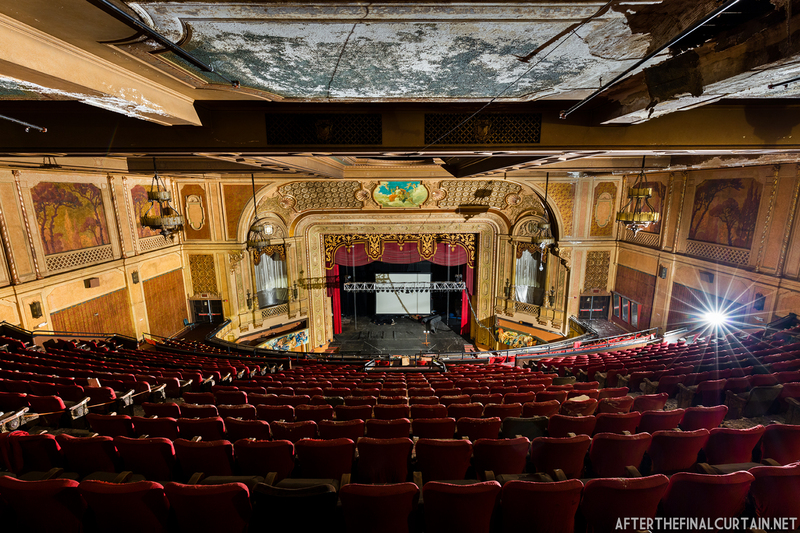 View from the fake box seats at the Paramount Theatre in Springfield, MA. Last up is a return to the Paramount Theatre in Springfield, MA on October 27, 2018. I’m co-hosting this one again with Matthew Christopher of Abandoned America. Work will have started on the roof by the time this workshop takes place, so hopefully that will stop the deterioration of this fantastic building. That’s it for now! I’m planning on doing another one at the Everett Square Theatre this fall, but I’m just waiting to confirm a date. There may be one more surprise one as well. The Paramount opened exactly one month before “Black Tuesday,” the day that the stock market crashed. Originally billed in opening advertisements as “Springfield’s newest playground of pleasure,” the Paramount Theatre in Springfield, Massachusetts opened on September 29, 1929. 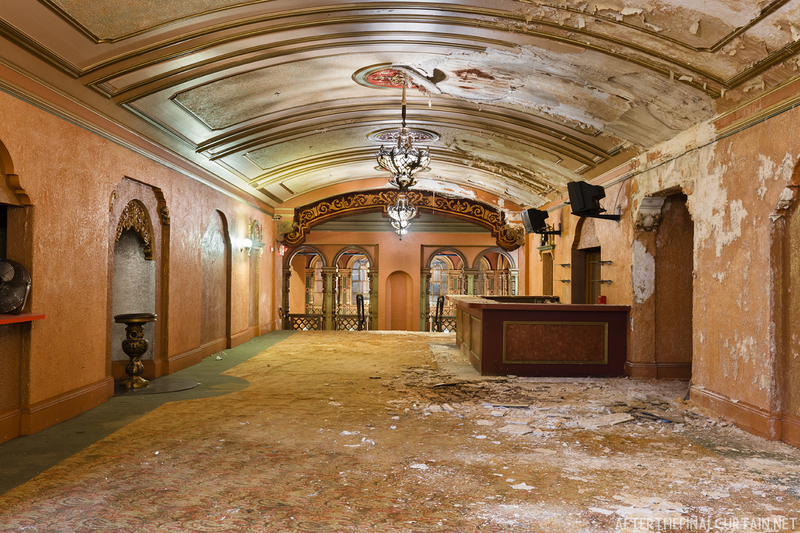 In 1926, the Famous Players-Lasky Corporation, later known as Paramount Pictures Corp, signed a 14-year contract at $100,000 per year for the space at the former Massasoit Hotel and hired architect Ernest Carlson to design the theater. Carlson designed the Paramount for talking motion pictures, which were quickly replacing silent films. The 3,200-seat theater took three years to build, and cost $1,118,000 ($16 million when adjusted for inflation). A Wurlitzer 3/11 Opus 2011, Style 230 theater organ was installed prior to opening. The lobby of the Paramount. The opening week program at the Paramount consisted of the 1812 Overture performed by the New York Symphony Orchestra, Joe Alexander playing the Wurlitzer organ, a Paramount newsreel, and “Dance of Life,” a talking film starring Nancy Carroll and Hal Skelly. Like many other theaters of the time, entertainers often made appearances at the Paramount. At first it was as part of a vaudeville act, and later on to promote their films. Some of the stars that appeared at the theater included Ethel Barrymore, Jack Benny, Eric Von Stroheim, and Lillian Gish. 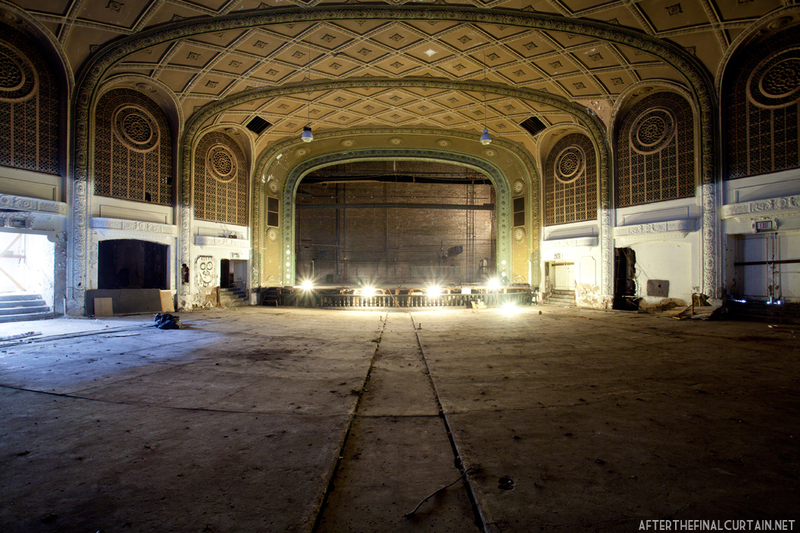 The theater was operated by Western Massachusetts Theatres, Inc. (WMT), which was a division of Paramount Pictures. WMT also operated the nearby Victory Theatre in Holyoke, Massachusetts. The Paramount Theatre was WMT’s flagship theater until 1952 when the movie studios were forced to give up ownership of theaters by the verdict of the United States vs. Paramount Pictures Supreme Court case. Movies were the main attraction at the Paramount until 1966, when musical performances and other live entertainment began to be regularly shown at the theater. In 1969, the Paramount closed for the first time. It reopened In 1975 and was renamed the Julia Sanderson Theater, after a Broadway actress from Springfield. Live shows continued at the theater until 1979, when it became a revival movie house, and its name was changed back to the Paramount. 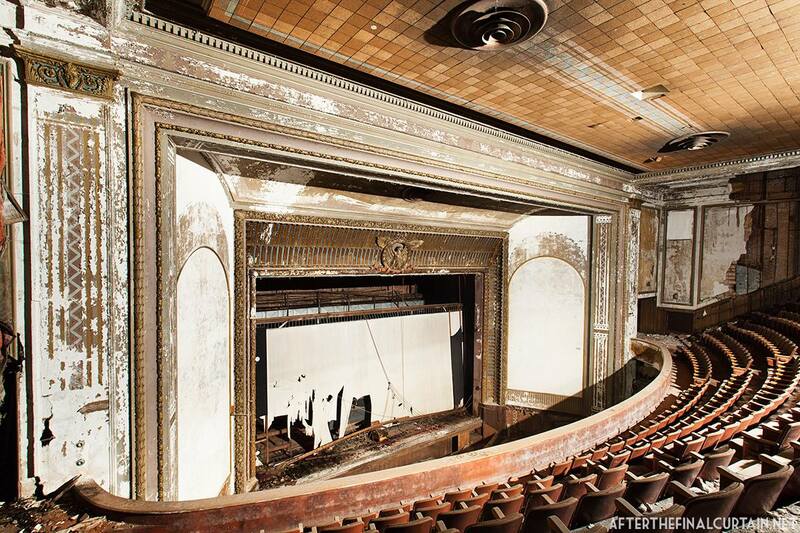 A new screen, and a speaker system taken from the recently closed Victory Theatre, were installed. It closed for a second time in 1986, but was used occasionally until 1999. 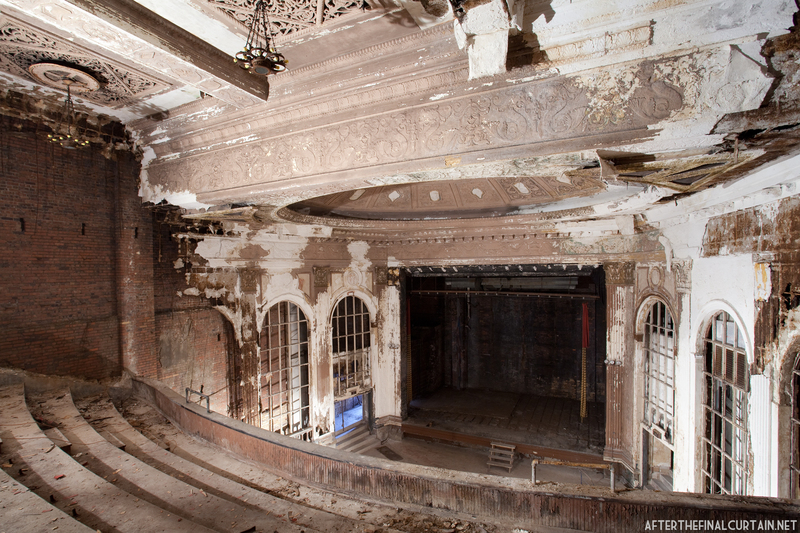 The Massasoit Hotel closed in 1926 – a portion of it was converted into offices, and the remainder became the theater. 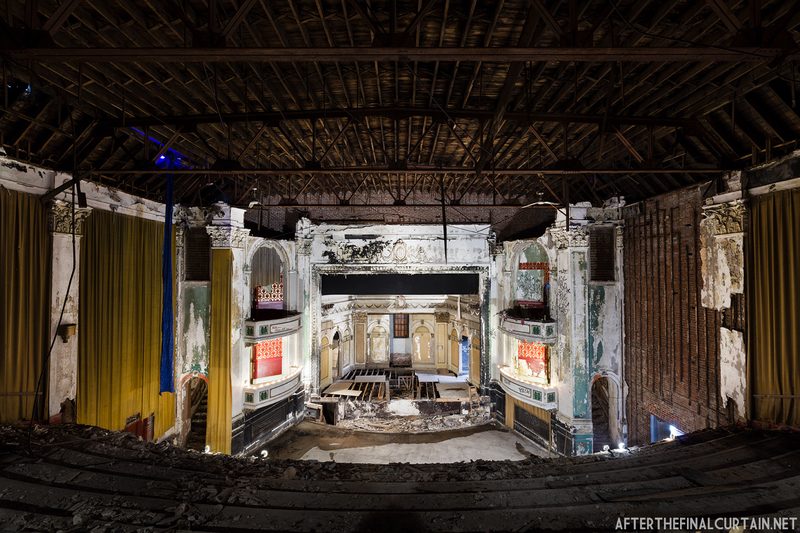 It was purchased by Paramount Realty Investment LLC/Creative Theater Concepts, who spent $1.3 million turning the theater into a nightclub/live performance space. It reopened as the Hippodrome Theatre in December 2000. The Hippodrome was a popular nighttime downtown destination for most of the 2000s. In 2011, it was purchased by the New England Farm Workers Council (NEFWC) for $1.7 million. They operated the theater sporadically until closing for good after a shooting in April 2015. 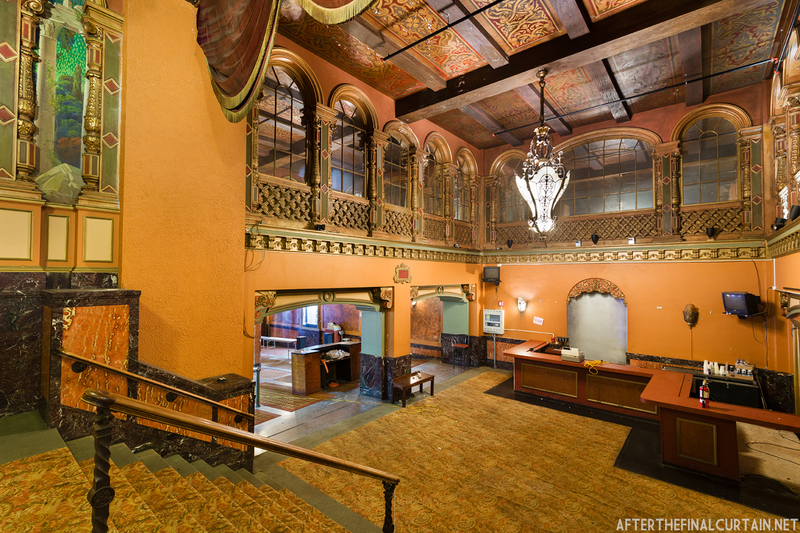 NEFWC intend to remove the nightclub alterations and reopen the theater as a live performance space, as well as restore the Massasoit Hotel into an 81-room boutique hotel. The estimated costs for the restoration are between $32 and $41 million. 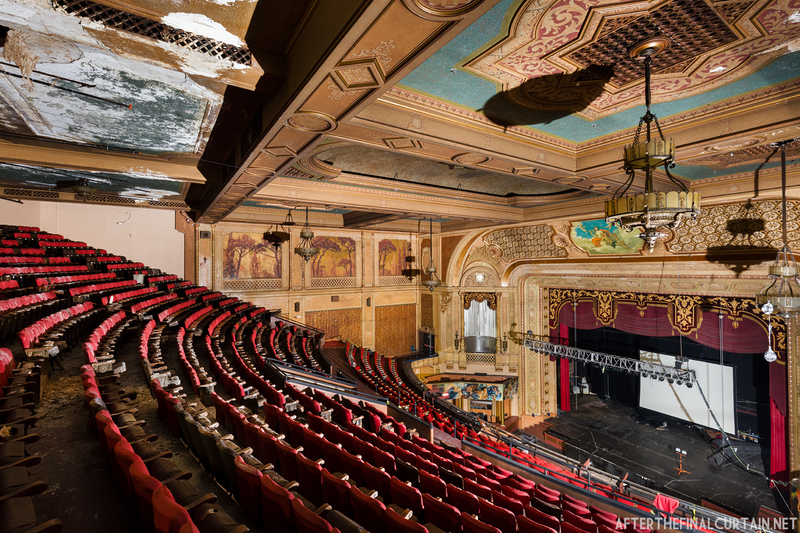 When it opened the Paramount had an air cooling system designed by Raymond S. Graham, which was the first of its kind in Springfield. 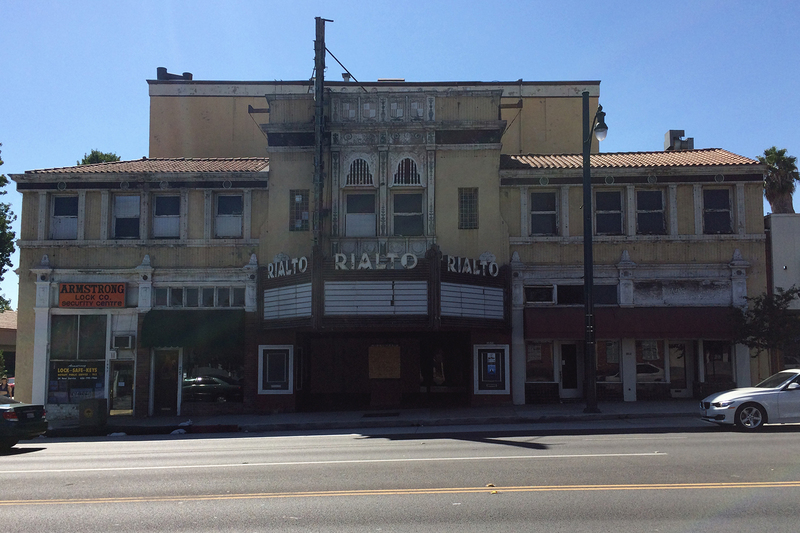 The theater was added to the National Register of Historic Places in 1979. “Gone with the Wind” was the first film shown at the revival house. 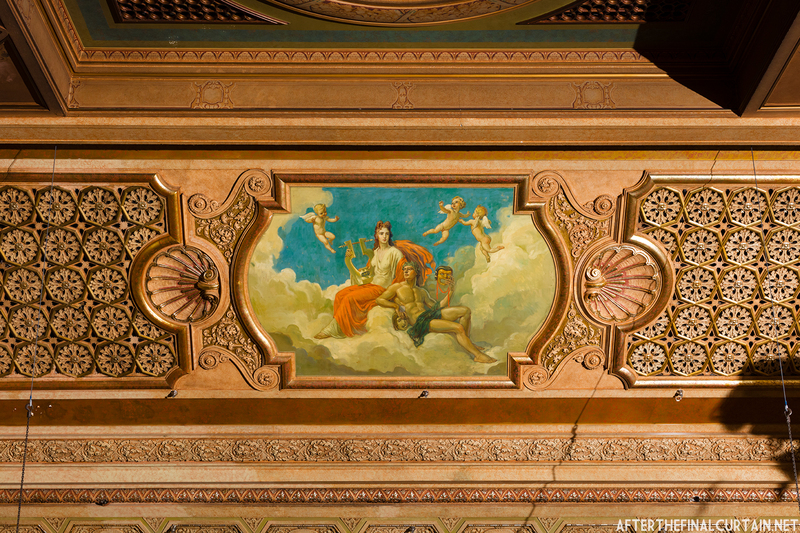 A close up of the mural above the proscenium arch. The Wurlitzer organ was restored during the 1999 renovation. I’ve added two more photo workshops to the fall season. 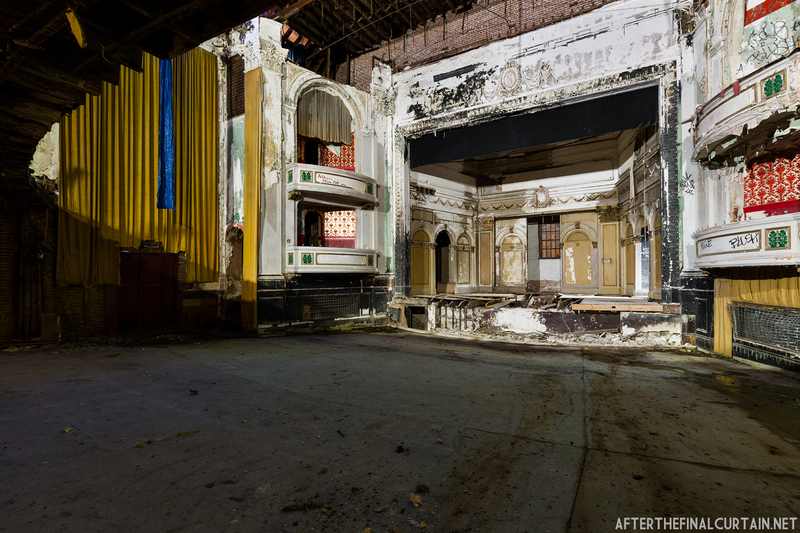 The Grand Theatre in Steubenville, Ohio and the Paramount Theatre in Springfield, MA. 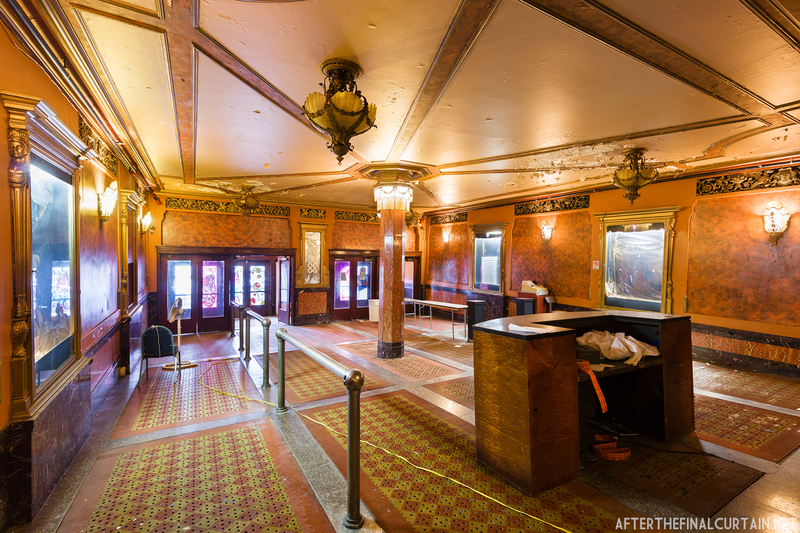 Both theaters are full of amazing details to photograph, and I’ll be on hand to help you out with any questions you might have. All levels of photographer, from beginner to expert, are welcome. 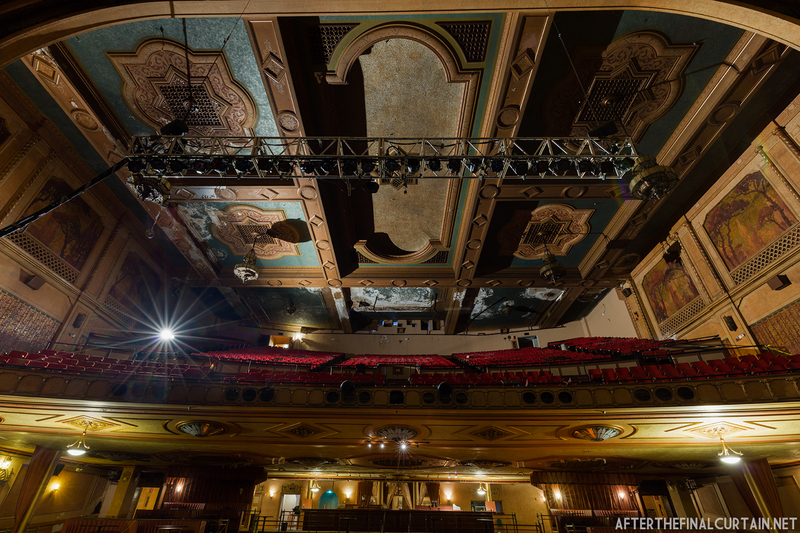 Paramount Theatre – Springfield, MA. 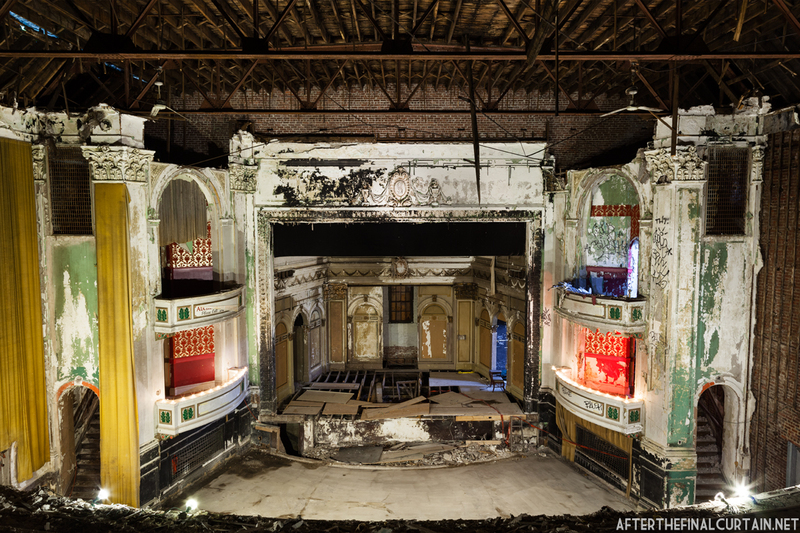 Past workshops I co-hosted raised thousands to help the theaters with maintenance, and other expenses. However, these are solo workshops, which means that more money will be going to the owners to help the theaters. While the money from these workshops will never be enough to save a theater, but every little bit helps. I’ll be hosting a photography workshop at the Everett Square Theatre in Boston, MA on September 30, 2017. This will be a little different from the past workshops because the theater is a bit smaller than some I’ve held workshops in. Because of that I’m limiting the amount of people per session to six. Each session will be 2.5 hours long. The first session will be from 9:00 AM – 11:30 AM and the second session will be from 12:00 PM – 2:30 PM. Each session will cost $35 to attend, and a portion of that goes directly to the owner to help maintain the building. You can both attend both sessions if you’d like more time in the theater. I look forward to seeing some of you (and the pictures you’ll take) at the theater! 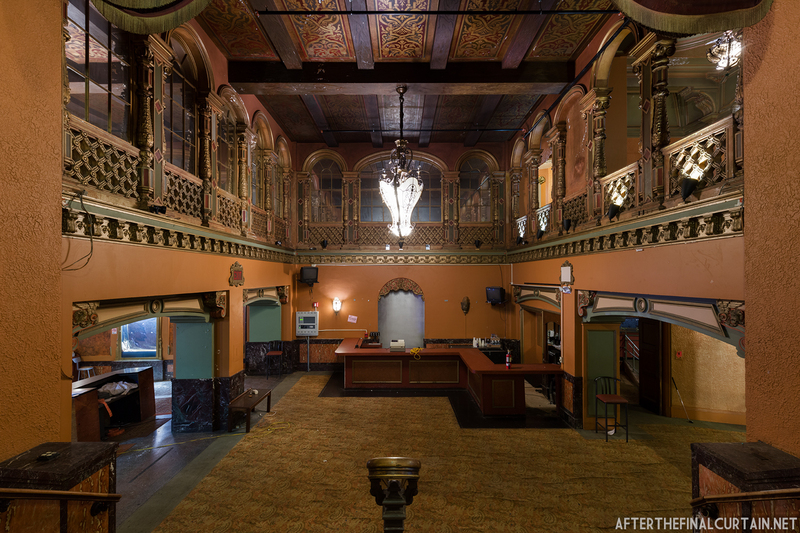 On Saturday July 1, I’ll be co-leading tours through seven of Los Angeles’s Lost Theatres as part of the Afterglow event at the Theatre Historical Society of America’s 2017 Conclave. Starting at 10AM, we’ll be going to The Variety Arts, the Leimert/Vision, the Rialto, the Raymond, the Uptown and the Westlake. * Photography is allowed, and I’ll be conducting short demonstrations and answering any questions you may have about architectural photography. Coaches will depart from the Omni Hotel at 9AM, and lunch will be provided in Old Town Pasadena. If you use the coupon code “ATFC2017” you’ll get $25 dollars off the price and a one year Theatre Historical Society membership (valued at $60). Tickets are $175 ($150 with the discount) and can be purchased at the THS Conclave site. For the full Conclave (four days of theatre tours) you’ll get $70 off and a complimentary one-year THS membership (valued at $60). For the two-day downtown LA theater tour you’ll get $60 off and a complimentary one-year THS membership (valued at $60). * Schedule may change. I’ll post an update when it is finalized. View of the Victory Theatre from the side of the balcony. 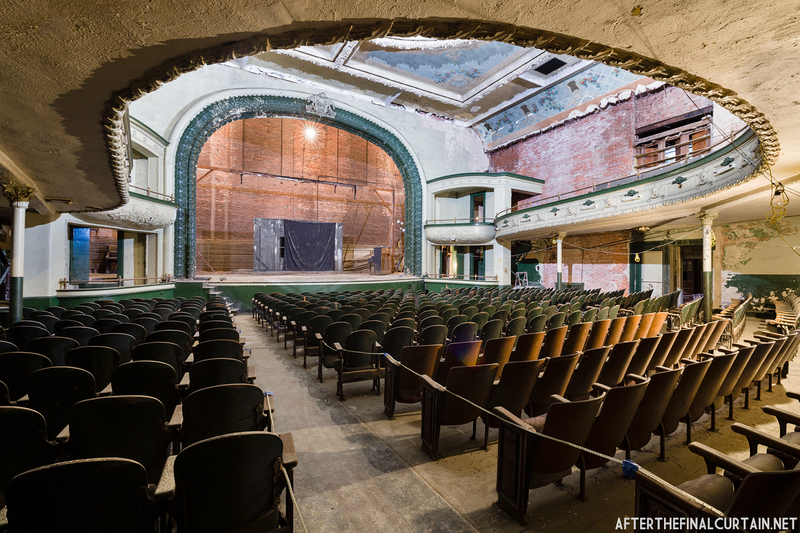 I’m excited to announce that I’ll once again be partnering with photographer/founder of Abandoned America, Matthew Christopher for photo workshops in 2016! First, we will be returning to the Victory Theatre in Holyoke, MA on April 9, 2016. The Victory Theatre opened on December 30, 1920 and closed 58 years late on December 15, 1978. 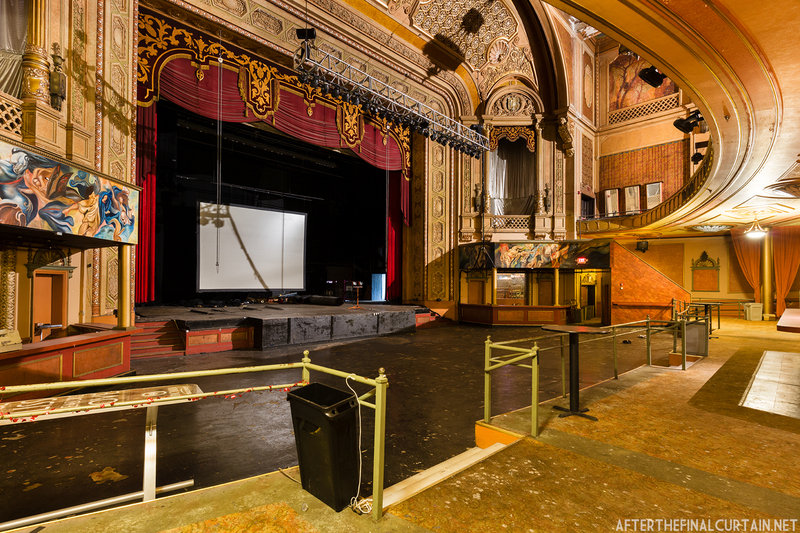 It is currently owned by the Massachusetts International Festival of the Arts, who plan to renovate the theater and reopen it as a performing arts center. Past workshops have generated over $4000 for MIFA. We will also be returning to the Variety Theatre in 2016. The details for that workshop will be announced at a later date. The Variety opened on November 24, 1927 and after a number of different uses (including a wrestling gym called the Cleveland Wrestleplex) closed in the late 1980s. 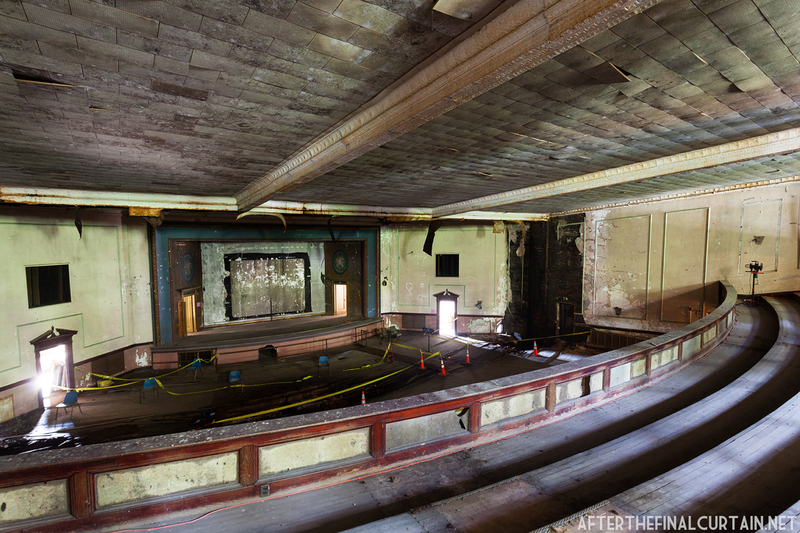 The building was purchased by the Friends of the Historic Variety Theatre on June 12, 2009, and they plan to restore the theater as a multi-use venue. I’m excited to announce that on September 27 and 28 I’ll be partnering with photographer/founder of Abandoned America, Matthew Christopher for two photo workshops in Massachusetts.